, after moving to Australia alongside partner Russell Hopson who joined M&C Saatchi last year. Patel replaces Taylor who departed DDB in April this year, joining McCann alongside chief strategy officer Fran Clayton. DDB is still looking for a chief strategy officer. “It gives me great pleasure to welcome Priya to the DDB Group in Australia. With extensive brand advertising experience and a proven track record in new business, she is the right person to lead DDB Sydney to continued success into the future," DDB Australia CEO Andrew Little says. Patel, who previously worked at DDB in the UK, says she is glad to return to the agency and its culture was a huge drawcard. “I firmly believe in the importance of building relationships and teams over time, and that’s something I’m really looking forward to doing at DDB," she says. “I’m really excited to be joining Andrew and such a talented team, and getting stuck into working on some big, famous accounts." Patel will start in the agency in mid July. 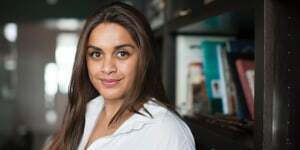 DDB Sydney has named Priya Patel as managing director following the departure of Nicole Taylor earlier this year, AdNews can reveal. Patel was previously the managing director of Y&R in London for just over a year, working her way up in the business from 2007. 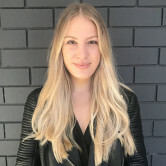 She has been consulting at David Jones for the last 10 months, leading the creative pitch at the retailer, after moving to Australia alongside partner Russell Hopson who joined M&C Saatchi last year.